Audit trail – know where, when & who updated each timesheet entry. Accountability is important. Back-end business logic – leave the thinking to us. Restrict overtime, late entries, absentees & more. Correction timesheets –it’s all about the documentation. DCAA compliant timekeeping software – 25+ years of experience. Take care of your business and leave compliance to us. Email reminders – daily alerts, your employees can’t forget. Free trial – 30-day no obligation free trial included when you sign up. Growing profits – with the price per user so low, you’ll be increasing your bottom line in no time. Job tracking – stay informed. The who, what when and why of project management. Knowledge base – easy to access on our website. Leave management – let us track your employee leave balances. Delete that excel spreadsheet. Manager approvals – sign one or sign them all. Supervisors will find this task easy as pie. No credit card required – no obligations when you sign up for the free 1-month trial. Price - $3/user with a 10-user minimum. QuickBooks compatible – simple integration with online and desktop versions. Rely on use – your timekeeping experts. Summary of hours – fingers & toes aren’t needed. We provide a simple graphical interface for you. 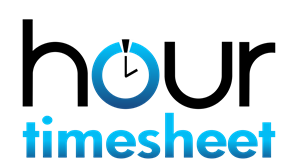 Timesheet options – weekly, biweekly, semi-monthly and monthly. You choose. Uncompensated pay – track all your employee time, know where those extra hours are going. Vendor tracking – tracking 1099’s is simple. Contractors, consultants are both included. Web-based access – anywhere, anytime. All you need is the internet. X-tra care –our support team loves to help and we look forward to exceeding your expectations. You won’t regret it – sign up now and see what everyone else is talking about. It’s almost too easy! Zero cost for 30-days – Once again…. why not give us a try? We guarantee you’ll love it.